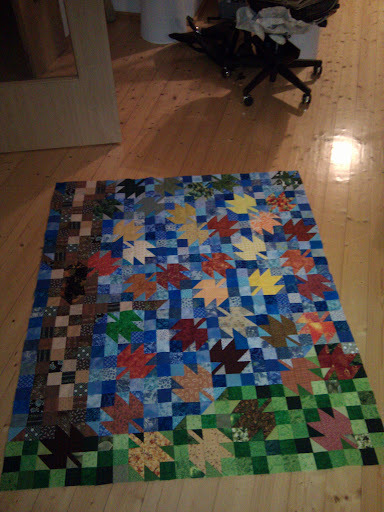 Mom's quilt top is done! It doesn't lay completely flat but after all of the fudging I had to do plus all of the inset seams, I don't think I really care. I'm in love. WOW - the top turned out gorgeous! I´m sure your Mom will love it! It's beautiful..I really love it! That looks GORGEOUS! I love the pattern - perfect for fall! Good job! That is just so beautiful. I wish I had a pattern like that.